Coverage of gun violence and President Donald Trump’s personal and business life won multiple Pulitzer Prizes on Monday. 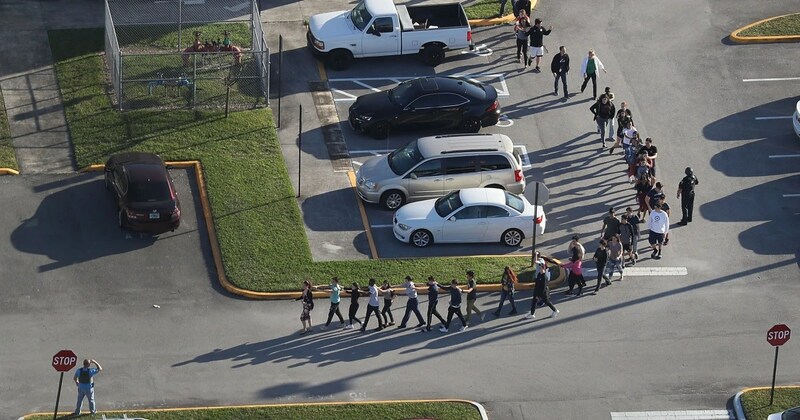 The public service award, considered the most prestigious of the 14 Pulitzers given for journalism, went to the South Florida Sun Sentinel for its coverage of the circumstances of and fallout from the shooting at Marjory Stoneman Douglas High School. The staff of the Pittsburgh Post-Gazette won the award for breaking news reporting for “immersive, compassionate coverage of the massacre at Pittsburgh’s Tree of Life synagogue that captured the anguish and resilience of a community thrust into grief,” the Pulitzer board, based at Columbia University in New York, wrote on its website. At the Pulitzer announcement, the prize administrator, Dana Canedy, also recognized the work of the Eagle Eye, the student newspaper of Stoneman Douglas High School, for the publication of obituaries of their classmates. “We took their submission very seriously. If you do something you’re proud of at your school, submit it,” Canedy said. Two major stories involving the president were recognized by the Pulitzer committee. David Barstow, Susanne Craig and Russ Buettner of The New York Times were awarded the prize for explanatory reporting for their investigation into Trump’s history of tax-avoidance schemes, showing that much of his financial foundation was inherited from his father. The staff of The Wall Street Journal won the award for national reporting for its coverage of hush-money payments to two women who alleged they had sexual relationships with Trump. No awards were given for coverage of special counsel Robert Mueller’s Russia investigation, though reporting on the subject won two awards the previous year. Matt Hamilton, Harriet Ryan and Paul Pringle of The Los Angeles Times won the Pulitzer for investigative reporting for their work uncovering a sexual harassment allegations made against a doctor who worked at the University of Southern California.